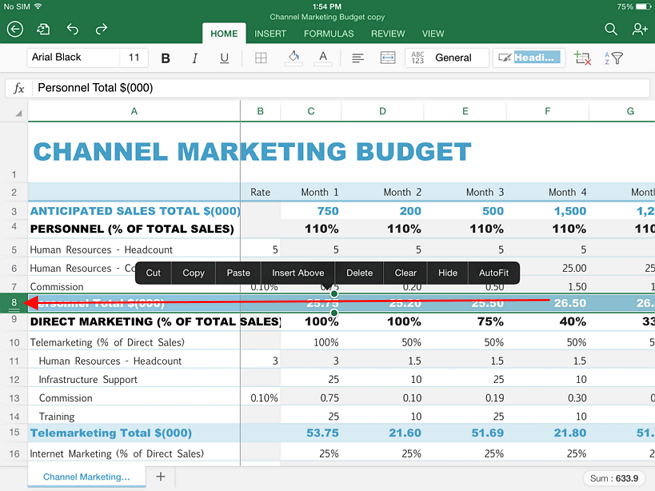 Being able to modify, move or delete data in our Excel spreadsheets is necessary while working on editing them. However, the selection is done differently on your desktop computer and tablet device. With computers we use a mouse, while with tablets we use our fingers. It can be hard for us if we are not used to it. 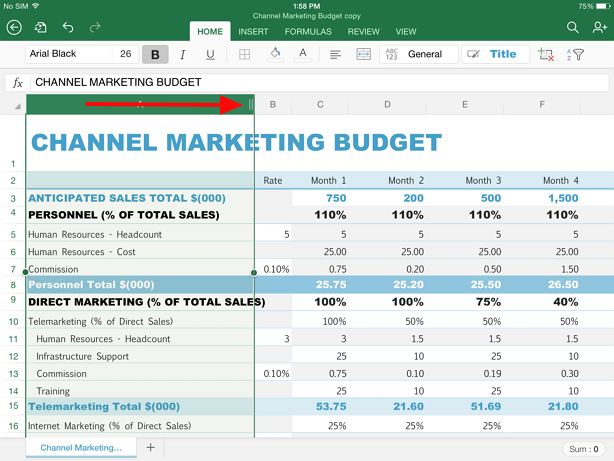 Here are some tricks that can help you select data in Excel spreadsheet better. 1) Select the whole sheet with one tap. Sometimes we need to select the whole sheet. We can do it with one tap in the upper left corner. See how it looks on this image. 2) Select one column by tapping on the letter above it. All columns are sorted by letters, A, B, C and so on, so tap on the appropriate letter, as the image shows, to select the whole column. 3) To select a whole row or column, tap on the row number. Each row has a number, so in order to select the whole row, tap on its number. 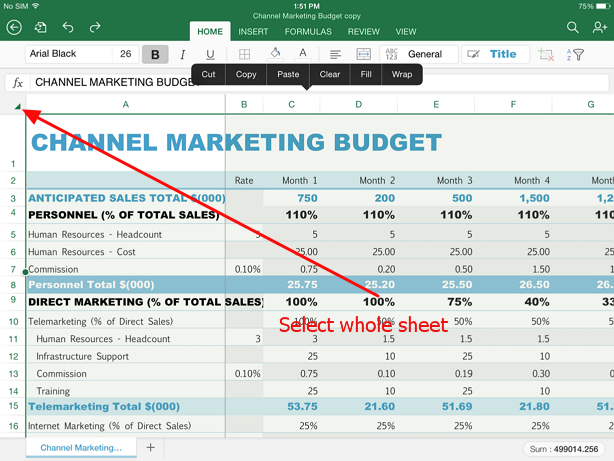 4) Select a part of the sheet. 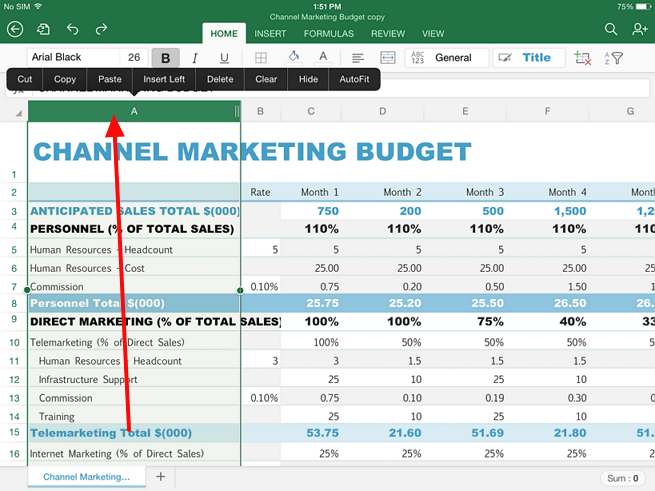 To select a part of the sheet, tap on the small green circle and manually drag it over the cells you wish to select. There are two of them for the start and beginning of selection. 5) Make a row or column larger. To expand a row or a column to be able to view its whole content, after selection click on the horizontal lines which appear in its beginning. 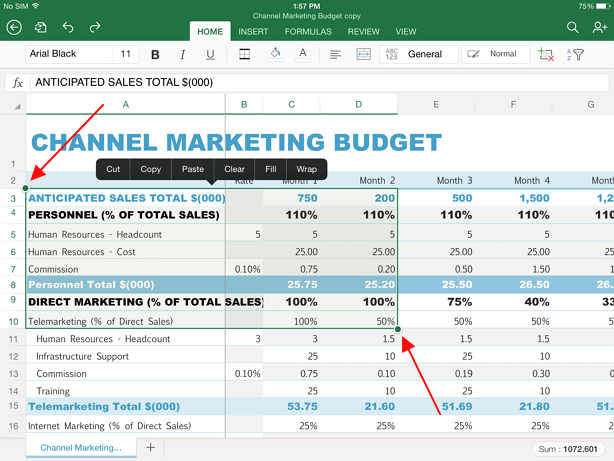 Don’t forget about app for convert PDF to Excel on your iPAD. How to Convert a PDF Presentation to Google Slides? How to Import a PDF File to iPhone?